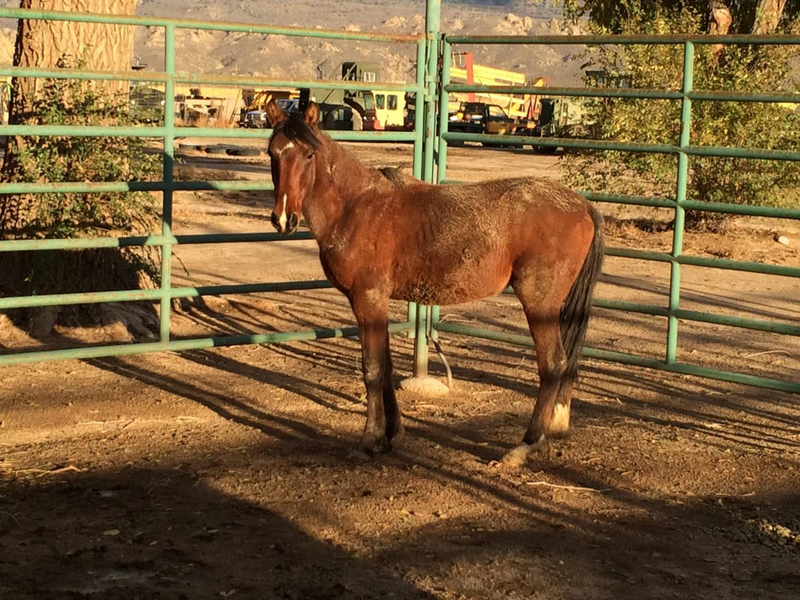 The family of mustangs pictured above will be sent to a slaughter auction if we don’t save them. We need your help. As Thanksgiving approaches, our thoughts turn to home and family. But for 22 wild mustangs from Nevada’s Virginia Range – including the family pictured above – there will be no home for the holidays. Captured by the Nevada Department of Agriculture after being deemed a public safety threat, they await their fate at the Carson City Prison. 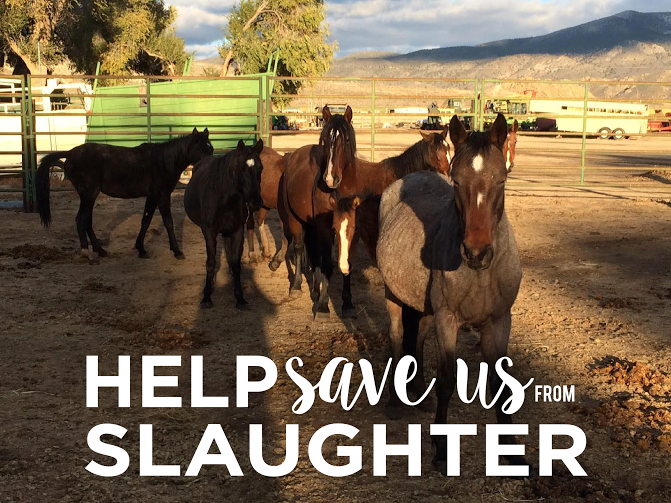 If we don’t raise the funds necessary to save them, many of these beautiful wild horses — three families and a lone bachelor — will be sent to a slaughter auction. We are literally the last line of defense for these magnificent horses! Thanks to a cooperative agreement that we negotiated with the state, we can buy them directly and prevent them from being sent to the auction. But we need the funds to immediately purchase these horses, transport them and pay for their holding costs until we can find forever homes for each and every one of them. Thankfully a wonderful private sanctuary in northern California has agreed to take a family of 8 and we have a potential home for 7 other horses — but that leaves 7 horses with nowhere to go. 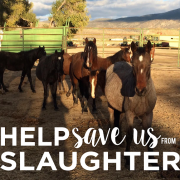 While it’s disturbing these horses were removed from the range — we must keep in mind that since we began working with the State of Nevada earlier this year to humanely manage the Virginia Range horses, the number of horses removed from the range has decreased significantly. We are headed in the right direction — but we still have a lot of work to do. Please help us be the safety net to ensure not one of these horses is sent to slaughter auction. We are their last chance … and we need your help today. Thank you for helping us save these innocent wild horses from a terrible fate.